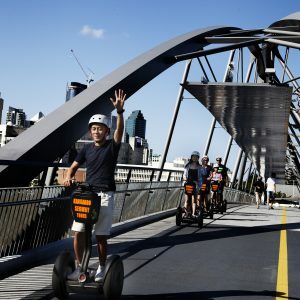 Have a blast on the ultimate Segway Tour of Brisbane City. Segways are easy to learn, you don’t have to balance, the segway balances you. Ride the i2 Segway, the sports car of all Segways. 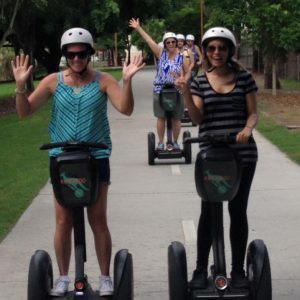 Segway’s are very easy to learn how to ride. (87 years is our oldest). 90% of our guests are total beginners to start with. 95% of guests end up being good and safe enough to have the choice to do our advanced routes. Advanced routes are only available on the Day and Night Adventure Tour. (Alternatively we have easier, more relaxed, beginner Adventure Tour routes to suit your ability and desire). Safety and your enjoyment is our top priority. Continuous segway ride time fun. Suitable for work parties and team building. Ideal for birthdays, family gatherings, anniversaries, hens nights and first dates. GIFT IT: top gift for the hard to buy for. GIFT IT emails are sent to you immediately, no wait time. We guarantee that you will have more fun than expected. Adventure tours travel up to 27km through Brisbane’s main attractions. 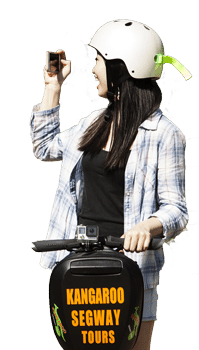 Segways are super fun and easy to ride. See lots of wildlife, birds, beautiful gardens and landmarks. Night Adventure Tours are stunning, breathtaking beauty throughout. Our friendly guide will help you to get to know the real Brisbane. 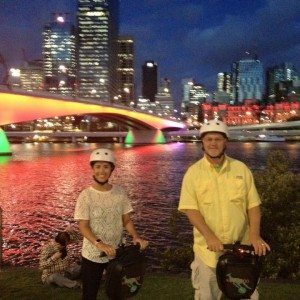 Top Rated on TripAdisvor, our tours rock, a must do while in Brisbane. If you have any queries or can’t find a tour time to suit? Call me on 0414 350 503 (local) or +61 414 350 503 (international) here to help. 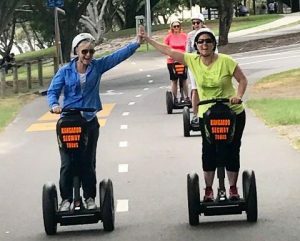 On our Segway tours of Brisbane you’ll glide through Southbank Parklands or The City Botanical Gardens in a fraction of the time you’d spend walking. Soaring views, exhilarating hills, beautiful sights—what more could you ask for? 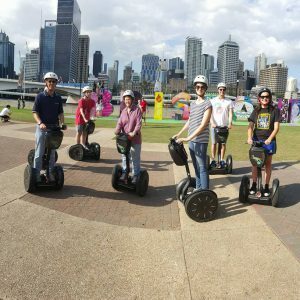 Book a Segway Tour of Brisbane today, it’s a blast!